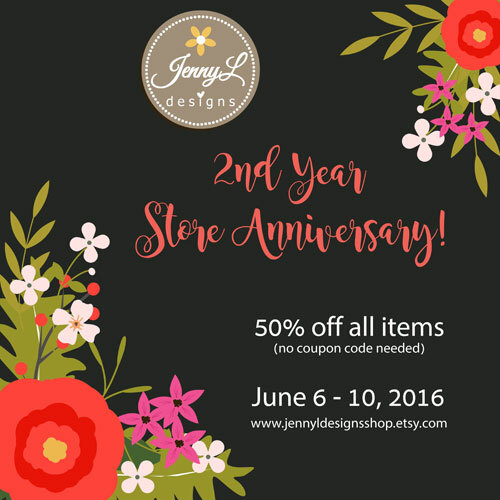 My ETSY store JENNYL DESIGNS is celebrating its 2nd Year Anniversary this month and i'm having a 50% OFF sale on all items and that includes also the Commercial Licenses. I'm so happy that I'm part of ETSY family and it is the home of my digital designs. Check out my sale items are from $1 and up.... go fill your carts now!